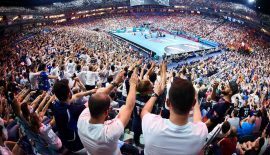 We as Turkish handball fans really want one our teams to win a European trophy. 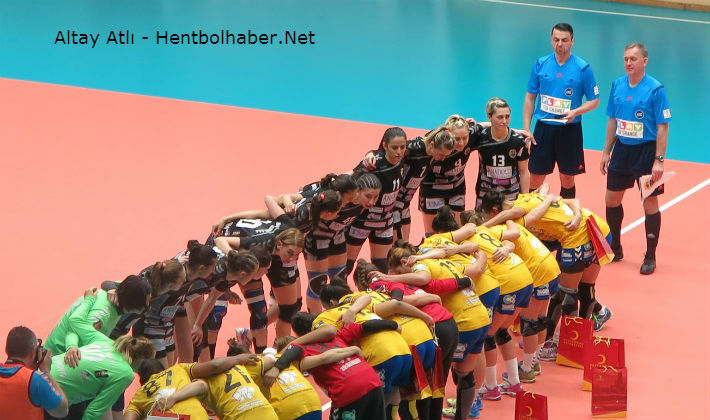 Muratpaşa Belediyesi had come very close to this great achievement, reaching the final match twice. 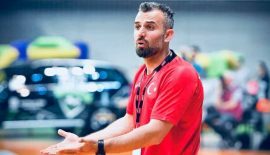 This year it was Kastamonu Belediyesi who made its way to the final match; however having lost 29-25 to Spain’s Rocasa Gran Canaria in the first leg, the team is now facing diminished chances in its quest to win the trophy. Does this mean that this is a lost cause now? Not at all! The second leg will be played on May 7 in Spain. 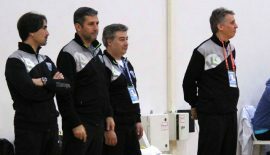 Kastamonu played very bad in the first match, but the opponent is not a team that cannot be beaten. On a good day and with good mood, Kastamonu can beat Gran Canaria even in Spain as the only thing that is required for this is that Kastamonu’s players play with their full potential. This did not happen in the first game, but there is absolutely no reason why this should not be the case in the second match. 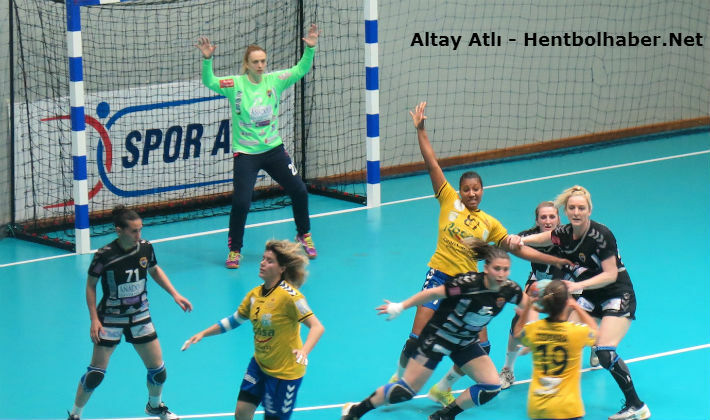 The first leg of the EHF Women’s Challenge Cup final was played in Haldun Alagaş Sports Hall in İstanbul, in front of a full house with 2,000 spectators creating an atmosphere worthy of the final stage of a European competition. The game was a battle of two sides of equal strength. Gran Canaria is by no means superior to Kastamonu in terms of physical and technical capacity, and one could clearly see this on the field. However, it was Kastamonu, which made a bad start to the game and did not really manage to recover until well into the second half. Gran Canaria succeeded in gaining score superiority early in the game and did not allow its opponent to close the gap. In fact, the match started with Kastamonu attacks one after other, only to be stopped by the magnificent Silvia Navarro Gimenez in goal. When Kastamonu scored its first goal in the game, the time counter on the scoreboard was showing 4 minutes and 40 seconds. In the meantime, Gran Canaria was scoring and widening the margin, especially with Almudena Rodriguez’s successful efforts in the center. The score difference was two in the 10th minute, widening to four in the 20th. Kastamonu struggled with its offensive formations, failed to produce goals from fast breaks, and managed to score only four goals within the first twenty minuets of the match. Anastasia Sinitsyna forced Gran Canaria’s defense from the left back position, but this did not suffice to change the situation either. During the first half, Gran Canaria was more dynamic in defense, but Kastamonu still managed to launch a few successful fast breaks near the end of the half, preventing a further widening of the goal difference. The first half ended with a 14-9 lead for Gran Canaria. Kastamonu began the second half in good shape, with a much better defense compared with the first half and successful conversion of ball gains into fast break goals helping the team to regain morale. Gran Canaria, however, did not give up easily. The Spaniards effectively countered Kastamonu’s attacks, and in fact they even managed to increase the goal margin to six by the 37th minute. Gran Canaria could be stopped by sustaining the good play in defense and Sonja Barjaktarovic’s good goalkeeping. Good defense and good goalkeeper performance were combined with fast break goals by Emilia Carbune and Martina Pavic. Carbune was also very efficient in the right wing, while at the same time efforts by Serpil İskenderoğlu and Yeliz Yılmaz began to produce results. The goal margin went down to one by the 49th minute, when it was 22-21 for Gran Canaria. This was the point when Kastamonu was supposed the give a final blow to its opponent and change the score. However, this could not be the case. 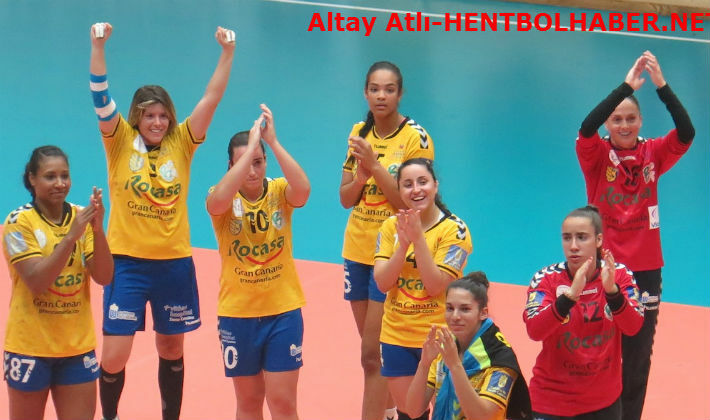 Kastamonu did simple mistakes, and willing to return to Spain with the best possible result, Gran Canaria pushed harder winning the game with 29-25. The top scorers of the day were Maria Lujan Suarez and Almudena Rodriguez from Gran Canaria with eight goals each, and Kastamonu’s Emilia Carbune with seven goals. 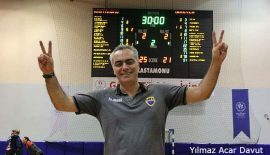 After the game we had the chance to talk with Kastamonu coach Osman Kalyoncu. Admitting that his team did not really play well, Kalyoncu pointed to the second match and said “we will live it there on that day.” Indeed, the winner of the cup will be determined by the two sides’ performances on May 7. Kastamonu lost on its home ground by four goals, and this is not a good situation to be in at all. However, one should keep in mind that we are talking about two teams that are more or less equally strong. If Gran Canaria can win by four goals in Istanbul, it won’t be surprising if Kastamonu wins in Las Palmas by five goals. The only thing that is needed for this is that Osman Kalyoncu’s players put in all their strength to the game and show all their talents.